Joe Gibbs: Back on Top or Just Average? 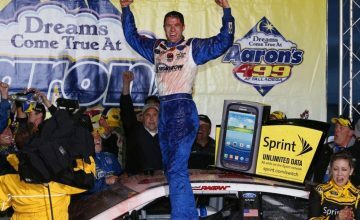 Joe Gibbs Racing (JGR) gets their second victory this season and finally gets into victory lane at “Thunder Valley” after many years of dominating races at Bristol. Not only does Kyle Busch get his second win, but Denny Hamlin finishes out the one-two punch for JGR. But the question has to be, is JGR still the team to beat, or are they now just an average team? 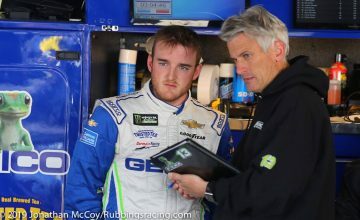 With Tony Stewart, the last patriarch of the Gibbs Racing Family, leaving to form his own team, it was obvious after last years success that Busch would replace Stewart in that role. But to have a dominate “team”, there must be more than one dominating. History has always put JGR right there at the top of the mountain of great teams in NASCAR, but outside of the number 18, they have not flexed their muscles much. Yes, Hamlin has performed fairly consistent over the past few years, but this year, this is the first real showing for the number 11. The buzz before the season started was the new kid on the block, Joey Logano. 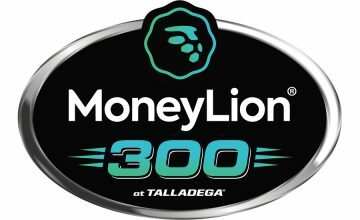 So far this season though, Logano has struggled in the 20 car and finds itself on the cusp of being outside of the Top 35. Having to qualify at Martinsville on time as a rookie is a daunting task. So, JGR emerged as the flagship team for Toyota since they made the jump from Chevy last year, but other Toyota teams are making strong showings this year. Michael Waltrip Racing (MWR) has David Reutimann in the top 12 and Michael Waltrip in the top 25 in points so far this year, a far cry from where this team has lived for the past few years. Not only has MWR racing stepped up their game, but look at the Red Bull Racing team with Brian Vickers finding himself just outside of the top 12 and rookie Scott Speed is on the bubble a the magic 35 spot. I don’t want to say that JGR has lost a step, but they are not the only ones crawling up that mountain anymore, especially in the Toyota teams. I’m thinking Gibbs could of given the #20 ride to someone like Mayfield for a couple of years, i know is early, but Logano may not be ready for this..